the space and install flags. The mission of the WROS is to connect veterans, military members and their families with service providers and resources in order to enhance opportunities and improve their quality of life. Easy access to programs and services will include VA benefit enrollment, education and training and employment services, mental health and wellness programs, legal and counseling services, and many more services. Colorado is home to over 400,000 veterans. The western Colorado catchment area covers 24 counties and serves over 40,000 of those veterans. 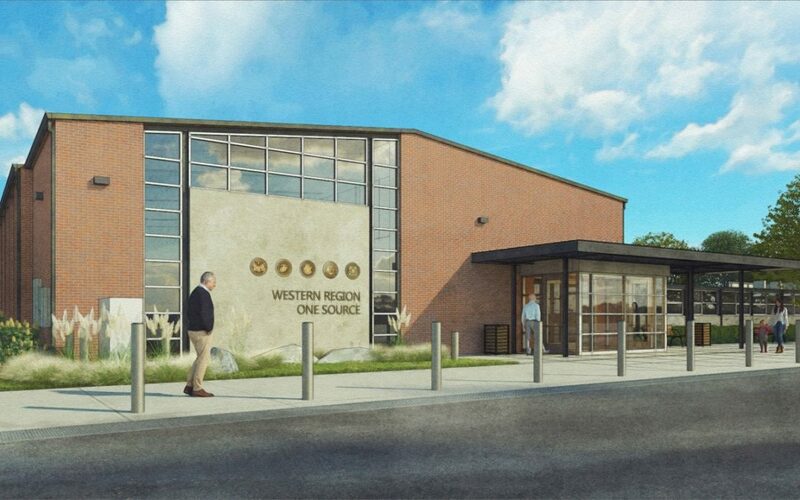 Since Grand Junction is home to the regional Veterans Administration Hospital, this new resource will be just a few blocks away – within easy access to vets, military members and their families. The Western Region One Source is actively recruiting nonprofits interested in space for their programs in the new building, and welcomes donations to help complete the furnishings. Click here for more information. To read the full WCCF November 2018 Enewsletter, click here.